As one of the top SEO and digital marketing agencies in the United States, we are very picky during our hiring process. We only choose the cream of the crop to work at Coalition Technologies, and our work shows it. This month, we’re pleased to honor Joey and Tibor, two team members who make us the awesome agency that we are. Read on to learn what makes them so amazing! Joey is a Digital Producer here at Coalition, meaning he works with the rest of our team to create client strategies and making sure his clients’ campaigns are performing well and running smoothly. He’s been with us since September of 2017 and works with clients in every vertical from electrical test equipment to handmade jewelry to workout equipment. He loves that working with Coalition means he has the freedom to work from anywhere in the world, allowing him to satisfy his wanderlust while continuing to work on his career. He and his wife Brittney (also a Digital Producer!) travel around the United States in their RV with their pets, Nala and Simba. They’ve been to 26 states so far! Tibor started at Coalition in December 2016 as a frontend developer, which means he integrates CMS solutions, content implementation, and code for user interaction. He has worked on a variety of client verticals, including dentistry, education, boutique clothing, and finance. Without Tibor, his client’s sites would be very difficult to work with! Keep an Eye Out for May! 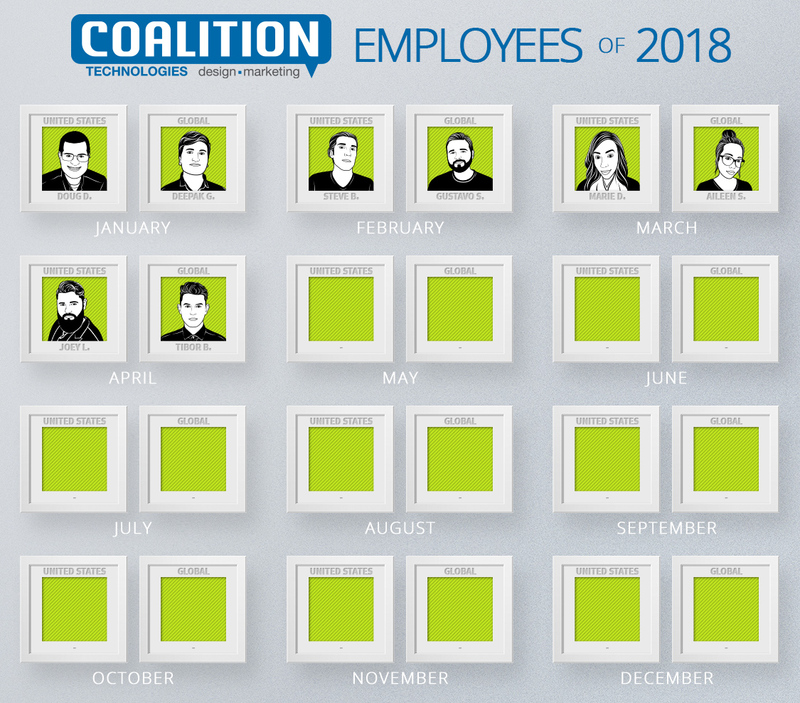 Coalition is full of amazing team members whose hard work month after month keeps us moving forward. We appreciate the hard work Tibor, Joey, and all our team does to ensure our success. 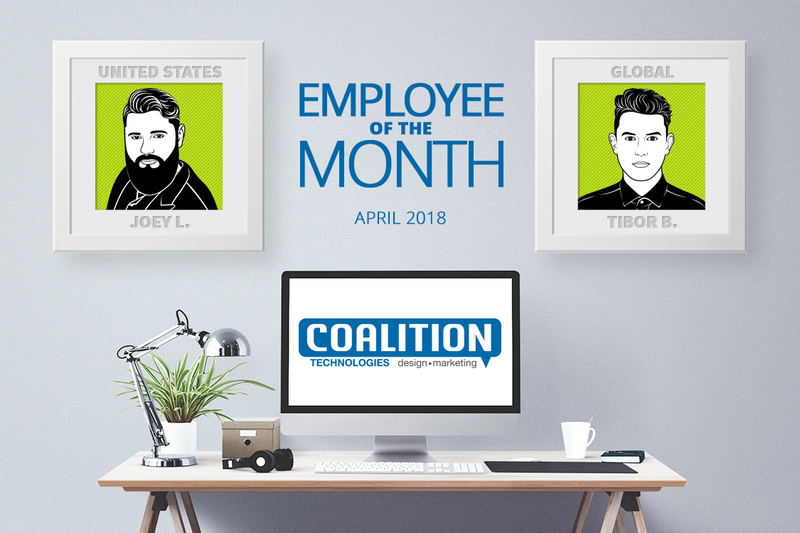 Be sure to stay tuned for May’s employees of the month to get a glimpse of the team behind Coalition.